Posted By Nathan On May 8th 2015. Under Blog Tags: e portfolios for college students, student e portfolios, what are e portfolios . A lot of careers these days are “portfolio careers”. This expression means “based on your portfolio”. This work may include anything from fashion to graphic art, media production, all types of design, and even tech professions like coding. The emerging trend for portfolios is the “e-portfolio”. 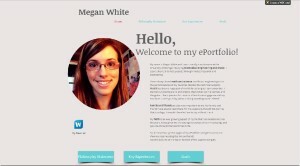 What’s an e-portfolio, you may well ask? They’re basically digital portfolios, online or through other media. They’re a digitally writing resume featuring your work, in effect. 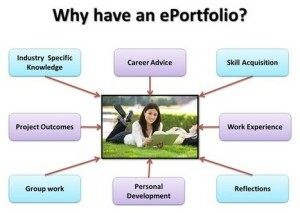 E-portfolios have a lot of advantages over traditional portfolios. They’re a lot easier to organize, and much easier to send to business contacts and contracts. E-portfolios can be created and specially selected to target job requirements. E-portfolios are an excellent way of managing a diversified portfolio, allowing the creation of specialized portfolios for different works and tasks. E-portfolios evolve with the individual, providing both a current record of work and past works. You can see why e-portfolios are so popular with creative professionals. A portfolio for college students can deliver excellent results with very little “management” of materials. On many levels, e-portfolios for college students are a real asset. You can do a lot with your digital portfolio. You can use it very effectively in the job market and for professional purposes as well as written resume. 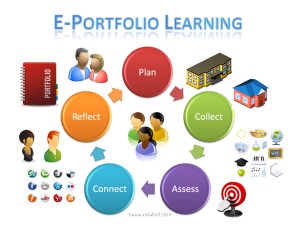 If you’re putting your student e-portfolio online, think about it! Student e-portfolios need to present well. Take the time to consider your materials and how you manage their presentation. One of the major issues for students isn’t at all obvious, either. This issue is based on your own “image”. Your portfolio is your “personal presence”. You and your work are directly associated in the minds of viewers. The issue here is how you provide information about your work. A picture doesn’t paint an explanation of itself. You need a few words, if not a thousand. Contexts of works, designs, and your personal inputs do have value, particularly to other professionals. It’s a good idea to put your work together in your student eportfolio in logical groupings, with a bit of information about the origin of each piece and background where required regarding technical issues. This information generates a lot of interest. Managing an e portfolio for students is pretty easy, but you need to know your way around your options. You can use your own website. You can use a free or subscription portfolio service. You can use a good resume editing service to make sure the text is professional and catchy. Some services may run ads, some may restrict your file uploads. It’s advisable to check out all the possibilities before committing your portfolio to a particular service. If you’d like to find out more about e-portfolios for college students, see this link for some additional suggestions and useful links to subscription services. Images are taken from: wordpress.com, lsa.umich.edu, img.scoop.it. Follow Up Calls After Resume Submission – need one?